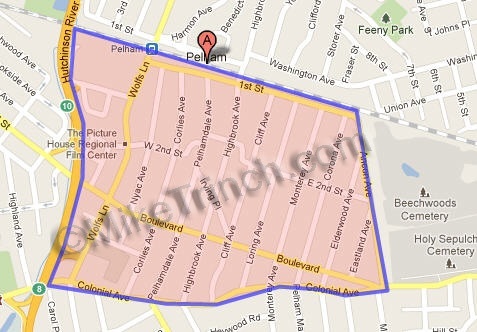 Pelham Heights is one of the most sought after neighborhoods in Westchester County. Located less then 20 miles to NYC with a train commute of just under 30 minutes. Pelham Heights is located within walking distance to the Pelham Train Station, Colonial Elementary School, Pelham Memorial High School and Middle School, shopping and restaurants. As originally defined, Pelham Heights was bordered on the north by the train station, New Rochelle city line on the east, Colonial Ave to the south and the Hutchinson River Parkway to the west.